The Pitco SE14S can provide that EnergyStar performance while meeting the needs of your establishment for fried foods. Solstice Electric fryers can attain up to 98% of thermal efficiency. The heating elements of the unit have sealed in construction which means there is less chance for accidents. These elements also do not have any pivoting elements. Fewer parts mean easier maintenance and cleaning. The stainless steel construction of the SE14S makes it very easy to clean and maintain, not to mention that it makes the unit very durable. The front, side panels, and the back are all made with stainless steel. The SE14S has a sizable cool zone which can trap burnt particles from the foods being fried. This helps to improve the quality of the food being fried. The unit has a high temperature cut out switch which will turn off the unit once it gets too hot. The drain valve interlock switch prevents the unit from being turned on while the oil is being drained from the unit. The unit can be drained from the front which means it does not have to be moved, making the whole process easier and faster. The basket hanger is removable, making maintenance easier. The legs of the SE14S is adjustable. This feature helps in using the unit in places where the floor area is uneven. Solstice Electric fryers have more common parts with Pitco gas fryers, which helps when it comes to getting replacements. 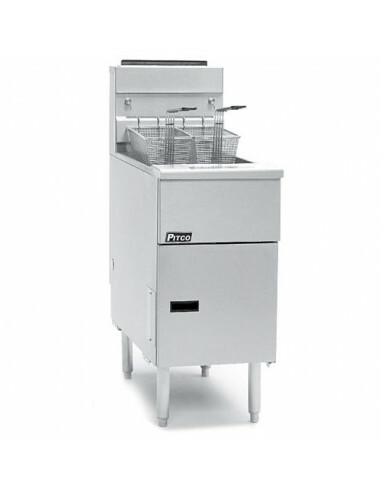 Why rely on other fryer brands when you can rely on Pitco, a company with a long positive track record? 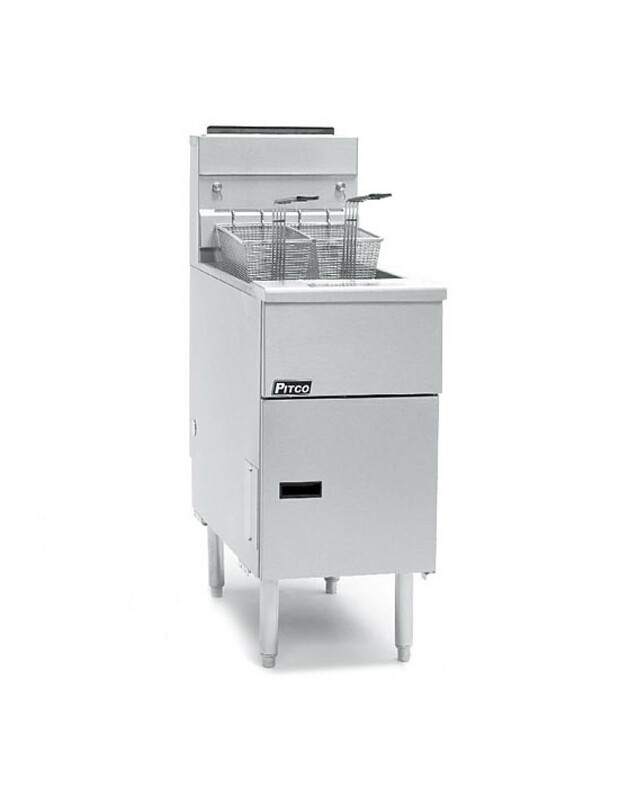 Get the SE14S Solstice Electric fryer for your establishment.